It affects people from all walks of life, both male and female and presents itself in many ways. The victims often live in constant fear and intimidation from the perpetrator. This can create a very lonely, frightening and isolating existance fro them. For many people, abuse starts slowly. They often don't recognise it or play down what's happening and only ask for help when the abuse is at its worse. You dont have to wait for an emergency situation to seek help. 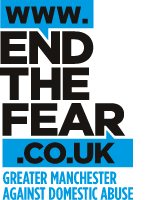 End the Fear Greater Manchester Against Domestic Violence offer support for anybody who is experiencing domestic abuse or sexual violence - Helpline: 0161 636 7525. The Survivor's Handbook from the charity Women's Aid is free and provides information for women on a wide range of issues such as housing, money, helping your children, and your legal rights. 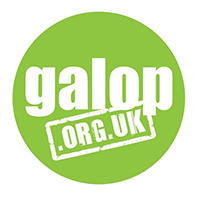 Galop.org.uk provides support to lesbian, gay, bisexual and transgender people experiencing domestic violence. For forced marriage and "honour" crimes, contact Karma Nirvana (0800 5999 247) or The Forced Marriage Unit (020 7008 0151). If you're considering leaving, be careful who you tell. It's important that your partner doesn't know where you're going. Women and men who have been sexually assaulted can get confidential help, treatment and support at a sexual assault referral centre. Click here to find your nearest sexual assault referral centre.